To come up with an e-commerce definition, first let's get the main tenet of commerce out of the way, which is the exchange of goods and services. Quite simply, the principles of commerce apply to the e-commerce definition, with the major differences being that the Internet is the place where the buyer purchases goods or services, and the seller communicates with customers. Providing a product or service to be purchased. Customers need to know how to find the product or service, so marketing is necessary. The exchange of money for the product or service. 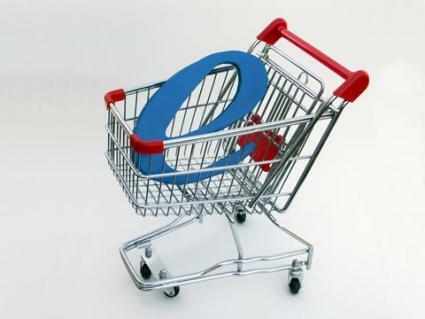 These fundamental aspects of commerce are then modified to suit the e-commerce environment. Let's say you create customized tee shirts that you want to sell online. You market the tee shirts and where to purchase them in record and book stores, coffee shops, alternative newspapers and maybe even through banner ads on other Web sites, so your target audience knows how to find the site. A fielded order form is completed online, but the payment process is handled through PayPal. A deal has been negotiated through a shipping service in which the company will pick up orders from your garage Monday, Wednesday and Friday at a reduced rate. While you make tee shirts, two customer service representatives act as site moderators who review traffic, process orders, answer e-mail queries, send confirmation of shipment notices and product receipt confirmation. Of course, some of these processes may be automated through a properly devoloped Web site shopping cart. It all seems so simple, doesn't it? Well, theoretically, it is. However, if you're new to the wide world of the Web, this article might help you learn more about the necessary Web components for e-commerce and some helpful alternatives if you need help with the more technical side of business operations. Companies like eMarketer have made it their business to study the trends of e-commerce and generate information on the topic. This is not to say that your venture won't experience success by the standard e-commerce definition; it's just that consumers have grown accustomed to purchasing these products and services online. First, develop a good understanding of the Internet, how Web sites work and the components that make an effective e-commerce Web site. This doesn't mean you have to design the site yourself, but to have an underlying comprehension of terms is always helpful. For the novice: Internet for Dummies by John R. Levine, Margaret Levine Young and Carol Baroudi. The Dummy series breaks things down into simple terms and tip references. For the advanced: Designing Easy-to-Use Websites by Vanessa Donnelly. A handy guide for those with more technical knowledge. Next, ramp up your business plan to include an effective e-commerce position. Working in the world of e-commerce can upset the applecart of traditional business models. That is often a positive thing, but if your current business plan doesn't include e-commerce, or your product or service needs to be amended to enter into e-commerce, you'll have to create a new plan. Finally, cultivate an awareness of how marketing for an e-commerce enterprise is different from the traditional retail store front or small business arena. A helpful resource for this might be the book Streetwise Low-Cost Web Site Promotion by Barry Feig. An e-commerce definition need not be complicated, but it does ebb and flow with changes in the electronic age. While the foundation is rooted in standard commerce principles, e-commerce will more than likely continue to revise elements that apply only to its practice.